Zhu: We would like to have the moderators of the three concurrent sessions share with everyone what was discussed in each session and its important points. Then we will finish with a wrap-up review. The first speaker is Associate Professor Yeh Hsueh. Hsueh: In Concurrent Session 1, we discussed how digital media and artificial intelligence (AI) may impact education in different learning environments. The three presenters were all enthusiastic about the increasing use of digital media and AI in young children's learning and socialization. Their forward-looking perspectives indicated that the development and applications of digital technology may hold infinite possibilities in education. There is no question that challenges and concerns abound in the new age; however, the three presenters expressed more hopes than uneasiness toward the unknown world. Their research, television program design, and apps design, suggested that that researchers, practitioners, and parents, in various fields, especially in education and psychology, should tap into digital media and inventions in AI to connect digital technology with the growth, development, and learning of young children in the future. During Q and A, Kazuo Hiraki, Professor of The University of Tokyo, responded to interesting questions such as "Can robots offer a warm response to children?" and "Can robots recognize children's emotions?" Professor Hiraki pointed out that "the possibility to adequately address these concerns exists. Future research and invention will bring us closer to satisfactory answers to these questions." 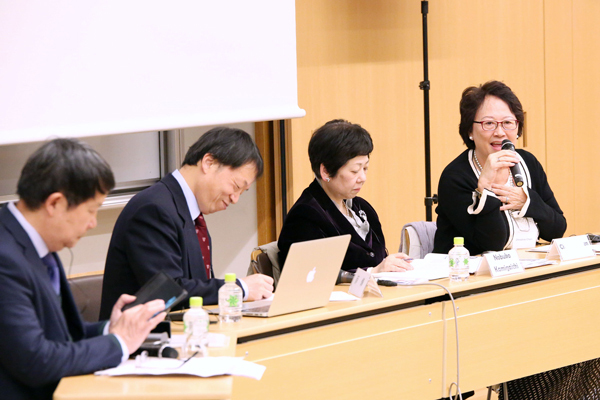 Tomomi Sato, Associate Professor of Aichi Shukutoku University in Japan, and Hiroko Sakaue, Managing Director of NHK Educational Corporation, offered specific examples of videos and applications to present the future directions of early childhood education. The audience had a lively interaction with these two presenters about how daycare centers, kindergartens, and parents, should make use of digital media to innovate educational programs and apps on mobile devices in order to support young children and their families in their learning together. Kamigaichi: In Concurrent Session 2, we redefined play through a different approach. The presentation given by Shih-Tsung Chang, Professor of the National Taipei University of Education, made a strong impression by discussing activities using one's hands to create fun beyond generations. Professor Chang illustrated that it is important to think in a way "cherishing old knowledge to create new" as opposed to "cherishing old knowledge to understand new." Sopia binti Md Yassin, Director of the National Child Development Research Centre (NCDRC), Sultan Idris Education University in Malaysia, emphasized from the perspective of neuroscience that children's brains develop through play and things that provide them with true enjoyment. Moreover, she introduced case studies at a childcare facility where children's play developed beyond the caregivers' suppositions when curricula was created based on the children's own ideas. Next, Miwako Hoshi, Professor Emerita of Jumonji University in Japan, suggested an exchange of opinions about the characteristics and similarities of play in the countries of Asia. Numerous important views such as "play itself has an educational value and its value is impregnable" and "adults themselves should have playful minds" were articulated. Through discussion, it was reaffirmed that it is important to develop playful minds in both children and adults in order to develop children's social and emotional skills, and to enrich their lives through play. Chen: In Concurrent Session 3, we had a discussion on how to support children with special needs. Doctor Poh Tin Tan, Pediatrician of Tan Specialist Child and Family Clinic in Malaysia pointed out that there are certain cases where children need special support not only due to congenital causes but also the influences of adverse childhood experiences such as abuse. Assistant Professor Thelma Mingoa of De La Salle University in the Philippines explained that in her country, there are numerous cases that lack preparations to respond to special needs. She stated that universities should put effort into teacher training, and that the social and emotional skills of children with special needs can be enhanced by providing appropriate support such as special education using "social stories." Masahiro Oba of Taiyo-no-ko Hoikuen gave a description of the history and current situation of special needs education in Japanese daycare centers. He introduced "inclusive childcare" which has advantages to all children, whether they have disabilities or not. He stated that provision of a basic environment, and reasonable accommodation are necessary. In some ways, all children have special needs. I believe that if we can talk to children with sincerity, we are then able to respond to their individual needs. Zhu: I would like to express my personal view on each session, as I have been assigned the important role of summarizing the three concurrent sessions. In Concurrent Session 1, titled "Children in the new age of digital media," all presenters responded to children's usage of media positively. In particular, Professor Hiraki's prediction that "further development of technology may bring a day when it recognizes children's feelings and offers warm responses" made a strong impression. In China, a lot of people with a conservative attitude toward the new media are prominently seen among professionals, such as daycare, kindergarten and other teachers. Perhaps in other countries and areas there are quite a few who have the same attitude. By all means, we should always welcome constructive opinions, but there will be no progress if we continue to insist on resistance to change. Media is rapidly advancing against a backdrop of rapidly developing science and technology. In order to enrich our future education and early childhood education, I think it is necessary to consider the usage of new media. The theme of Concurrent Session 2 was "Viewing 'play' from a scientific standpoint." As is well known, there is a close relationship between play and the development of children. Therefore, play has been repeatedly discussed until now and the points of contention are perpetual. What is the true form of play? What is pure play for children? I have participated in numerous discussions, but the answer remains, as yet, unclear. We are still seeking the most balanced point when it comes to examining the two principles presented by Professor Hoshi: guided-play led by adults/free-play led by children, and play seen as an educational tool/play itself considered having tangible educational value. The perspective changes, depending on the social, cultural, and political elements as well as the individual disposition, era and environment. As it is such a profound theme, we should not naively presume that we fully understand the concept of play. We need to thoroughly observe what children's real needs are and examine how it should be done if adults are to be involved in play. We set a very major and critical theme, "Supporting children with special needs" in Concurrent Session 3. I feel that a fruitful attempt was made by fundamentally re-questioning the meaning of "special needs" and delineating a vision of special support in early childhood education in the future. During the discussion, presenters unanimously emphasized the importance of basics in early childhood education to consider necessary support by being considerate of the individual child. For instance, Mr. Oba from Japan focused on special needs education at daycare centers and stated the necessity of providing a basic environment and reasonable accommodation in order to convert inclusive education from "special childcare" for a group of children into "normal childcare" for all children. Parents who have children with special needs were also present at the venue. I think our discussion was deepened thanks to the active questions and answers between the presenters and the floor. Each concurrent session theme can be approached from various perspectives and the answers are infinite. It is important for each of us to bring together views and to discuss in order to make further progress in the field of research and practice. Early childhood caregivers, other teachers and we researchers ourselves are trying to understand the needs of children and to respond to them. Although it is not easy for adults to correctly apprehend the needs of children, I believe a discussion like the one we had today will generate new awareness and provide a precious opportunity to deepen our understanding of children. Professor Emeritus, East China Normal University. Chairperson of the Pre-School Education Professional Commission, advisor of academic committee, the Chinese Society of Education; Chair of Committee for Mainland China, Pacific Early Childhood Education and Research Association (PECERA). Serves on the editorial board of four international publications on early childhood education. Specializes in the theory of early childhood education and kindergarten curricula and has published numerous research papers, translations, and teaching materials. Recipient of many distinguished awards and a special grant of the State Council of the People’s Republic of China. 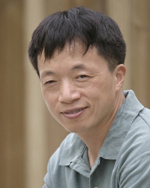 Yeh Hsueh conducts research in areas of comparative early childhood education, professional development of preschool teachers, developmental psychology, intellectual history, children and media. These experiences have invested him with sustained interest in critical exploration in the classroom, video-cued multivocal ethnography, archival analysis and children’s ways of knowing. For twenty years, he has served as a consultant for Sesame Workshop, the producer of Sesame Street, examining education contents for Chinese families with young children, and learning experience of children. A recent focus of his teaching and research has been on young children’s experiences with media in the changing society. Professor, Department of Early Childhood Care and Education, Faculty of Human Life, Jumonji University. Earned her degree in pedology at the Graduate School of Home Economics, Ochanomizu University. She specializes in early childhood education and care, and developmental clinical studies. Her research theme includes childcare teacher’s training, understanding each child’s development and their mental world within the clinical field of childcare, and how to support them. 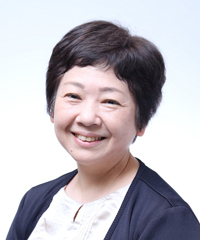 As Vice President of the Japanese committee of Organisation Mondiale Pour l'Éducation Préscolaire (OMEP), she enjoys exchanges with childcare specialists from around the world. She also serves as an executive board member and psychological counseling staff at “hajimeno ippo Kasugacho,” a non-profit child developmental support center at Nerima-kasuga-cho. Clinical Developmental Psychologist. President, Association for Early Childhood Educators (Singapore). 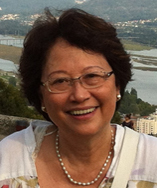 In Singapore, Dr. Chen was the Founder President of the Association for Child Care Educators (ACCE) and Founder and current President of the Association for Early Childhood Educators (AECES). Dr. Chen received her BA in Social Work from the University of Singapore, continued with her Masters of Science in Early Childhood Education from Bank Street College of Education, New York City and the Doctor of Education from the George Washington University, Washington D.C. Internationally, she is the President, Association for Childhood Education International (ACEI, 2015-2017), Director of the Asia-Pacific Regional Network for Early Childhood (ARNEC, 2014-2018), and Deputy Chairwoman of the Asia-Pacific Preschool Education Association (2014-2019). She is also a Member of the Advisory Board of IndoCare - Indonesia Centre for Autism Resource and Expertise. Dr. Chen has also been invited to present in China, Indonesia, Russia, Thailand, Vietnam and the U.S.A.